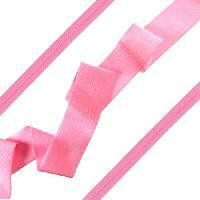 Making bracelets and necklaces with Lycra Ribbon provides many Easy On Easy Off design opportunities. 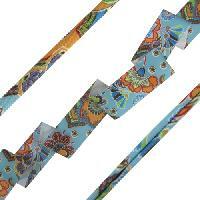 The stretchy jersey material is sold by the foot and comes in over 40 pretty colors. 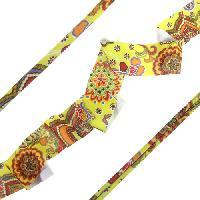 It is easy to work with and quite versatile. 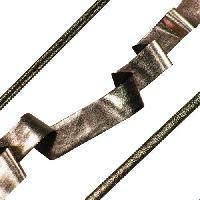 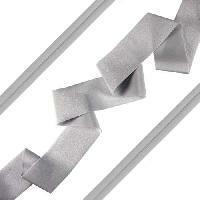 There are a number of ways the ends can be finished with knots and / or beads. It is surprisingly compressible, fitting through beads with holes as small as 1.5mm. 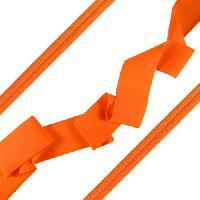 All you need is a pair of sharp scissors to get started. 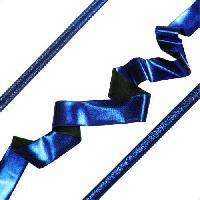 The ribbon does not fray and cuts cleanly. 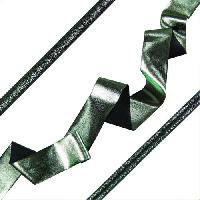 You will have had a lot of fun designing jewelry with the Lycra Ribbon. 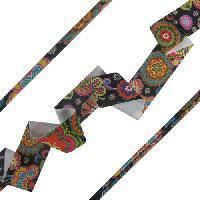 It takes a little practice working with it, but once you get the hang of it you will see the vast design possibilities to make fashion forward jewelry similar to recycled t-shirt jewelry and other jewelry made using fabrics, a hot trend in the industry right now. 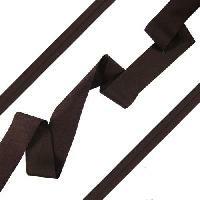 The lycra ribbon is a great addition to your leather jewelry collections, as it works with all of the same metal sliders and beads! 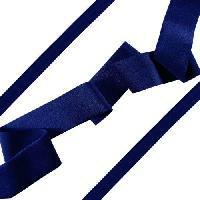 Lycra is very stretchy, and it comes as a flat 30mm ribbon. 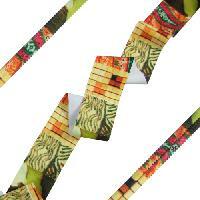 Cut a piece, stretch it out, and it curls into a thicker piece about 5mm wide. 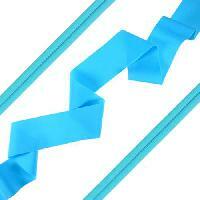 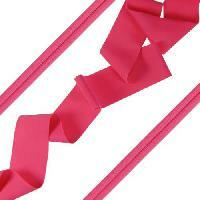 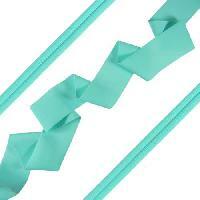 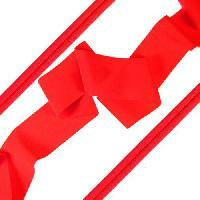 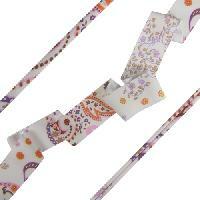 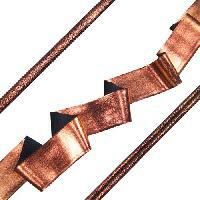 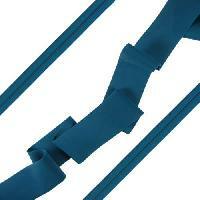 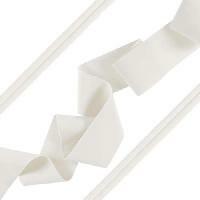 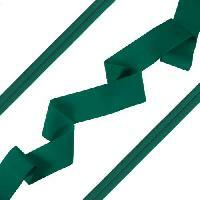 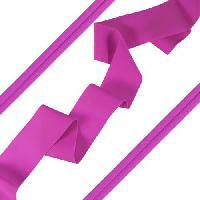 The ribbon retains its stretchiness after it has been curled, so you can simply knot the ends for a slip-on bracelet.